He's come a long way from Mass Effect, or has he? Who is Commander Shepherd? Is he simply an avatar for players, or is he a distinct character who evolves over the Mass Effect series? Since beginning Mass Effect 3, I began pondering this question. 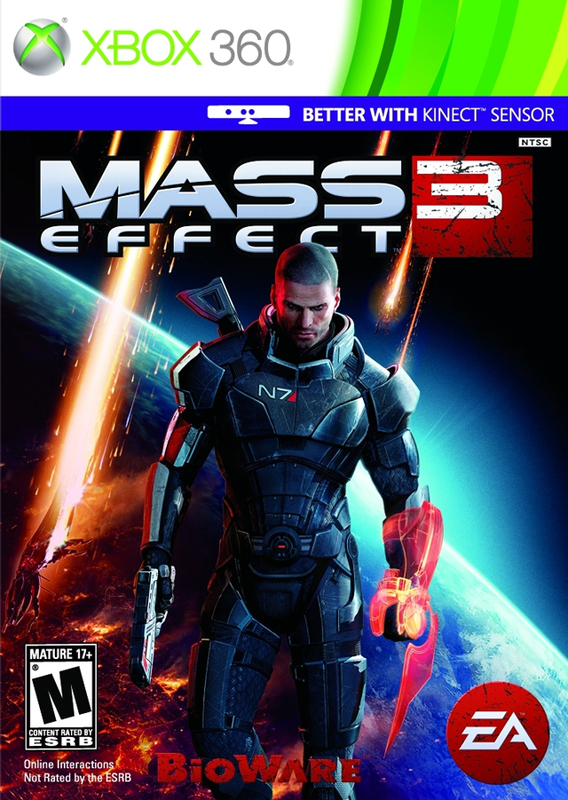 In the most recent game, BioWare and EA made this game more open to new players by introducing a mode where decisions are taken out of the player’s hands, in essence creating a Shepherd with a personality, morals, own thoughts, et cetera. Not only that, but Shepherd has dreams in Mass Effect 3, implying further that he is his own person. I believe Commander Shepherd is a blank slate. Through the decisions the player makes, he gets filled in. As the three-game story arc progressed, Shepherd grew, maybe. As the player, we can make any of the available decisions we want willy nilly. I assume that most players are role-playing their Shepherd as either a paragon (good) or renegade (bad). However, we can ultimately make nearly any decision we want, whether it fits in line with our Shepherd’s alignment or not. So long as we’re role-playing Shepherd with an eventual goal in mind, he does grow as a character. Otherwise, he’s just a mishmash of what we’re feeling at the moment. I argue that Commander Shepherd is an avatar for the player so they can build an emotional connection to fully enjoy the depth of the games. The positions Commander Shepherd takes are entirely representative of us. My Shepherd had distinct characteristics that are also found in me. I imagine this is the same for anyone who describes Shepherd as “their” Shepherd. The only reason we would ask ourselves what Shepherd would do in a specific situation is because we have already crafted what Shepherd would do because he is a version of ourselves. Shepherd isn’t a distinct character that has his own viewpoint, his viewpoint is ours. However, for Shepherd to truly resonate with us and allow us to build an emotional connection, he does have to be a distinct character. He has a back-story and interacts with others more so than a silent protagonist. In reality, he’s akin to the silent protagonist of so many other video games. In a way though, Shepherd is the next step of the silent protagonist. He is a blank slate for players to utilize and choose their own choices thereby creating a character, but he does have a voice (figuratively and literally). Writing down my thoughts about Commander Shepherd has made me think more about the avatars we play as in video games. There are many ways to get players involved in a video game and there are a lot of variables. Commander Shepherd can’t be pinned down as a silent protagonist or a distinct character because he’s a combination of these two alternatives. Truly though, I’d argue he’s closer to a silent protagonist because the decisions he makes are in the player’s hands and therefore, they’re really the stars of the game. The game is "better with Kinect" although I didn't play it with one. Mass Effect 3, what a game! 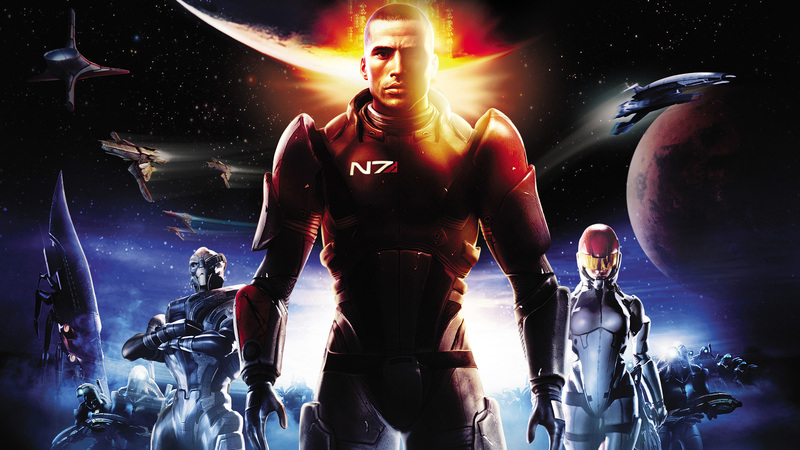 BioWare and Electronic Arts have closed out the trilogy amid much controversy. The increased amount of related downloadable content and the botched ending have irked many people. Still, the proof is in the pudding and Mass Effect 3 retains the high pedigree associated with the previous two games. 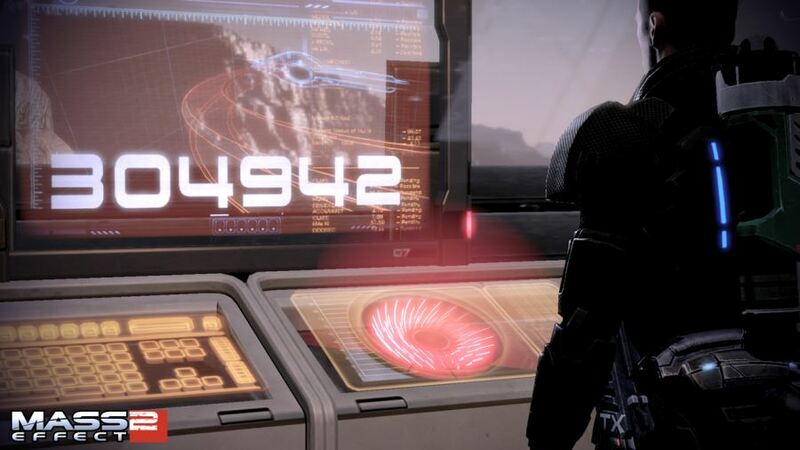 As was the case with Mass Effect 2, Mass Effect 3 plays more fluidly than its predecessor. Commander Shepherd has a newfound agility that allows him to weave around a battlefield much better than he’s ever been able to. Still there are some annoyances that make Shepherd’s movement feel very rigid. Turning while running was a process I had to become accustomed to and getting into cover was oftentimes finicky. For instance, when I’d run into a wall at an angle, Shepherd wouldn’t get into cover; to get into cover, I’d have to hit it head on. These are a few minor annoyances but overall, Shepherd’s agility is net gain in my book. As far as other elements of the gameplay getting improved, any enhancements were either very subtle or not worth mentioning. The game plays better than ever. Whether it's Cerberus troops or Reaper abominations, enemies are bigger and badder than they've ever been. I’ve played as a soldier in each of the Mass Effect games and compared to the other classes, it’s a relatively boring one. Thankfully, the big addition to the series – multiplayer – allowed me to play as the other classes and experience their specialties easily. It’s a much lower barrier of entry then just creating a new character for the single player. In the multiplayer, teams of four battle through about ten waves of enemies. Most of the time, survival is the only focus although every few waves, teams are tasked with uploading important data, guarding an important terminal, or taking out specific enemies in a timely fashion. I thought the multiplayer was okay, but feeling like I had to do it dragged down my feelings of it. 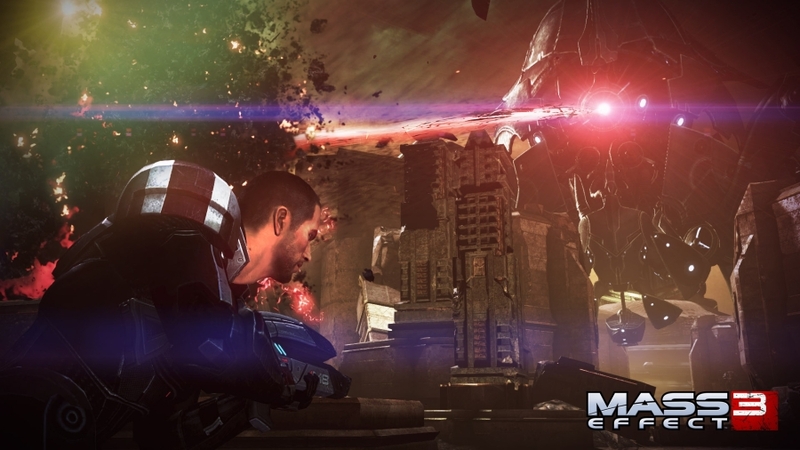 Mass Effect 3 integrates the multiplayer into the single player and represents the conflicts as actual battles that the good guys are fighting. Each multiplayer arena resides in a galaxy and each galaxy has a readiness rating. Each galaxy begins at 50% and for me, it was necessary to get the average up to about 70% to get the “perfect” ending. And since I was getting it that high, I figured I might as well get the overall number up to 100% to get the achievement for doing so. This was additional time to me because it forced me to halt my single player game and focus on the multiplayer for about ten hours, instead of enjoying it after “the main attraction” concluded. The Illusive Man still figures into the plot heavily. “The main attraction” in my book is the story and with this I was fulfilled. It was inevitable that the trilogy would end with this, the third game, but as the first few hours of Mass Effect 3 make clear, there was still much work ahead of Shepherd. Constructing a force large enough to deal with the Reapers required Shepherd to put to rest events that have affected the galaxy for hundreds of years. Dealing with the genophage and the Quarian/Geth problem are two of the subplots that stick out largest in my mind. Still, I can think of other, very memorable moments that may not have had a major impact on the universe as a whole, but affected me greatly. 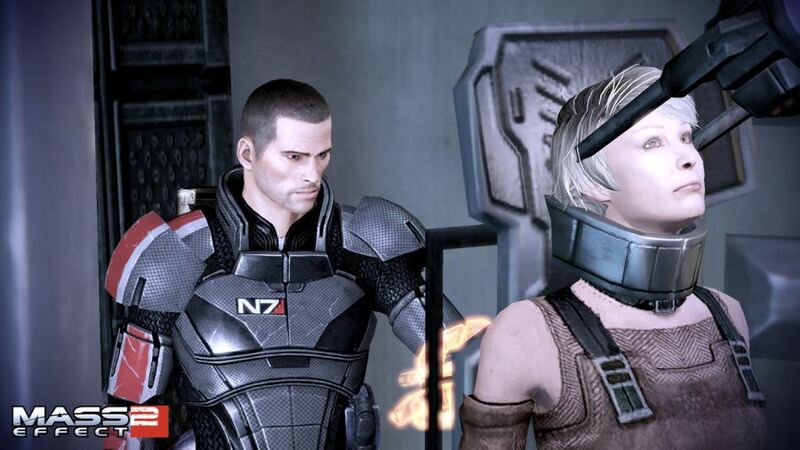 Whether it was losing close allies or making gut decisions on the fly, Mass Effect 3 had some memorable moments. Plus, seeing people I spared in the previous games reappear and discovering how past decisions reverberated was neat too. All the while, these decisions played into Shepherd’s war assets. In combination with the aforementioned readiness levels obtained through multiplayer, the war assets dictated what endings would be available. It’s weird to have every decision I’ve ever made to be distilled into a quick number, but it’s great for comparison to other players! When everything is said and done, Shepherd once and for all deals with the Reapers. There’s been so much fuss over the ending that forming an opinion is a tough task when there’s so many others floating around on the internet. I had multiple options available to deal with the Reapers, and they were pretty diverse. While I got the “perfect” ending, everything didn’t turn out perfectly. I believe a lot of anger has been directed at the vague resolution of what key characters do after the events of the game, and that’s fair. I also think it’s fair that if players have spent over one hundred hours in this universe, they have enough to go on to form their opinions of what everyone did. Still, recent revelations over the “true ending” downloadable content give me a sourer outlook of the ending. Situations get awfully hairy when fighting Reapers. Overall, I’m pleased as punch with Mass Effect 3. It’s the best playing game in the series and thanks to the multiplayer I have a better understanding of every character class. Leveling up characters in it is pretty fun to boot, as long as I’m not “forced” to do it; most importantly though, I’m pleased with the conclusion of the trilogy. The bevy of events throughout the game was entertaining and I know that if I slightly changed my decisions, they could’ve ended up entirely different. 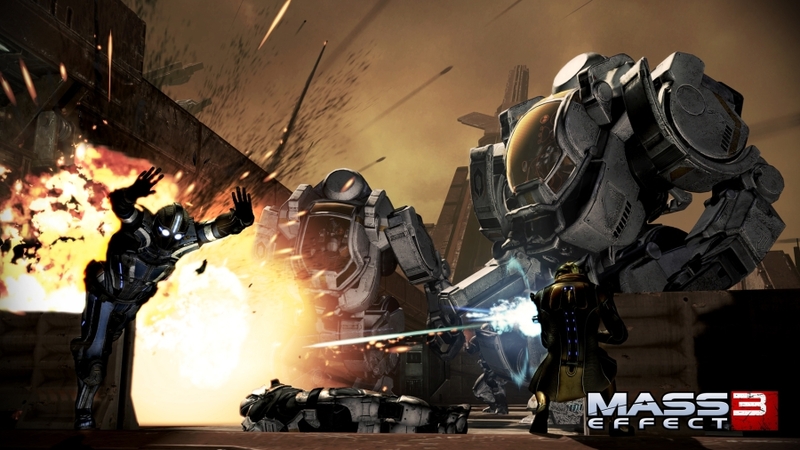 Ultimately though, Commander Shepherd did what he set out to do from day one: deal with the Reapers. Dr. Amanda Kenson has made a remarkable discovery regarding the arrival of the Reapers. The final piece of downloadable content for Mass Effect 2, Arrival, leads directly into Mass Effect 3 and explained away some of the confusion I had after playing the demo for the trilogy’s finale. Admiral Hackett reaches out to Commander Shepherd and asks him to undertake a rescue mission solo. An agent of Hackett’s has been working in Batarian space and has uncovered substantial evidence relating to the arrival of the Reapers. She has been apprehended by the Batarians however and is currently in prison. The Batarians and humans have a frayed relationship and if Hackett sent in a squad, this would cause turmoil; much like the relationship between the USA and Pakistan when a special forces squad took out Osama bin Laden. This relationship is why Hackett is asking Shepherd to go it alone. Hackett explains that it’s better for the operation to be viewed as the act of an individual rescuing a friend, rather than an act by the Alliance itself. So, Shepherd sneaks into the prison and rescues Dr. Amanda Kenson and the two then battle their way out and back onto the asteroid that houses Dr. Kenson’s base. When they arrive Shepherd is shocked to see what Dr. Kenson has found – a Reaper artifact, and one that’s out in the open. Shepherd is immediately worried that everyone on the base has been indoctrinated as Saren had been in Mass Effect; Dr. Kenson claims that’s not the case and they begin discussing the importance of her find. 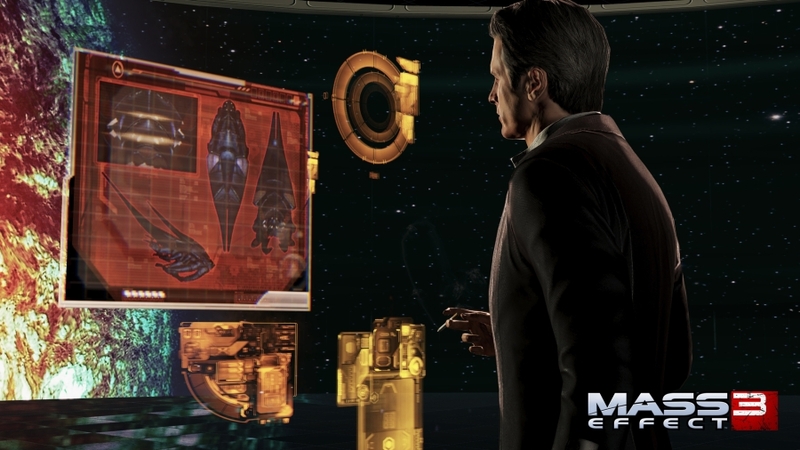 What Dr. Kenson has gathered relates to the Reapers arrival through the mass relays. Her crew had developed a plan to crash the asteroid her base resided on into the nearby mass relay, preventing the Reapers from entering the solar system. However, they had a change of plans because they had been indoctrinated. They overtake Shepherd who wakes up days later as his window of opportunity to save the day is shrinking. Shepherd proceeds to blast his way through the indoctrinated Alliance members until he reaches a lacking conclusion. One of the hallmarks of the Mass Effect games has been the ability to shape Shepherd and the universe around him through key decisions. Arrival finishes in a way that seems (almost) ideal for a chance to make hefty moral decision but whimpers out, in spite of an explosion. Ramming an asteroid into a mass relay has dire consequences for those in local space. Arrival leads directly into Mass Effect 3 (despite the two year gap between games) and explains away my confusion over the soon to be released finale’s opening. Arrival is heavily combat skewed and not having Shepherd’s crew is pretty lame. It’s probably ideal to play Arrival to fully understand Mass Effect 3, but compared to the three other DLC packs for Mass Effect 2, it’s my least favorite. Plus I’ve explained much of the DLC anyways so go figure. I played the final piece of downloadable content for Mass Effect 2 last week, Arrival, and I haven’t had the time to write about it yet. It was decent, but didn’t grab me as much as the other ones I’ve played. I will push an article out in the coming days as I should have more time to write. Other than that, gaming last week was pretty sparse. I played a couple hours of Skyrim plus the weekly co-op session of NBA Jam: On Fire Edition that I’m used to, but school and work took up the brunt of my time last week. Oh, and I played a little bit of Phantasy Star. Also, my girlfriend and I played through the first world of New Super Mario Bros. Wii. I don’t have much to say about that. It was fun to play a Mario game cooperatively and it seems like a really solid platformer. Lair of the Shadow Broker's focus lies on Shepherd, Liara, and the mysterious information magnate. Remember when I was ate up with Mass Effect and I played everything I could, including the DLC for Mass Effect 2 in a few month span? Well, to prepare for the release of Mass Effect 3 I figured it was time to revisit Mass Effect 2 and play through the two remaining pieces of DLC I saved. Luckily for me, I probably left the very best one to begin with. Lair of the Shadow Broker sees Commander Shepherd receiving valuable information on the whereabouts of the mysterious figure whose influence Shepherd has occasionally felt. He, or perhaps it, is similar to a gang lord that deals in information. He has a supply chain consisting of an innumerable amount of henchmen that is able to span the galaxy and gather information. With this supply chain, he’s able to control information so well that little is known about him; it helps that no one who has seen him has lived to tell the tale. When Shepherd left Liara T’Soni on Illium in Mass Effect 2, he left her as she continued her search for the shadow broker’s whereabouts. 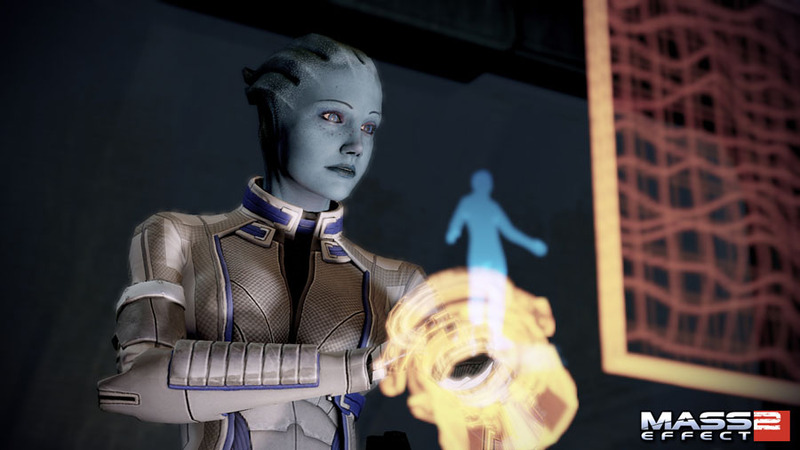 Liara has been tracking the information overlord with a vengeance, believing him to be the cause of a partner’s death. When Shepherd receives the information on the shadow broker, he naturally thinks of Liara. Thinking the information is too good to be obtained by just anyone, Liara believes the source of the info is her previously thought dead partner, giving her even more reason to ally with Shepherd again. Before leaving the financial capital of the universe, Shepherd and his squad deal with the can of worms that hunting an information magnate opens up. An assassination attempt on Liara keeps her and Shepherd separated, but it’s not long before his squad, and Tela Vasir, an asari Spectre meet back up with Liara in an enemy-filled skyscraper. That Spectre double-crosses them, leading to a chase scene between the towering skyscrapers of Illium. This chase scene was very fun and reminiscent of similar futuristic chase scenes from popular science fiction movies. Liara and Shepherd eventually catch Tela, but not before waging battles against more henchmen and passing through a high-end brothel. Tela was a very strong adversary and I had a hard time with this boss fight – I was playing on the second hardest difficulty level however. Afterwards Shepherd gave the most fantastic line of dialogue (paragon choice) when Tela took a hostage. He subsequently chastised Tela with underwhelming reasoning that, when applied to Shepherd himself, doesn’t hold water. Tela Vasir, representing for them Spectres all across the universe. With Shepherd, his squad, and Liara all together again, their search for the shadow broker begins in earnest and leads them to a planet with extremely harsh weather patterns. The shadow broker resides in an enormous starship that remains hidden in an ongoing storm. Landing on the starship, they have to deal with the shadow broker’s henchmen before gaining access to the interior, at which point they have a few more quick bouts with yet more henchmen before finally meeting the shadow broker. The shadow broker hails from a pre-spaceflight race of aliens that are ferociously deadly, quick learners, yet they’re unable to cooperate with other races, let alone each other. Hence, the shadow broker represents the first (and possibly only) time players will get to see this race of alien. The ensuing battle was representative of a lot of video game boss fights; figure out the boss’ pattern, exploit the boss’ weaknesses, repeat two more times. Not that that’s bad, I really liked this boss fight; it was balanced much better compared to the battle against Tela, and it gave Shepherd a chance to flex his melee skills. Lair of the Shadow Broker concludes with a fantastic role reprisal that should have major consequences for the upcoming Mass Effect 3. Thanks to the shadow broker’s diligent record keeping, there is plenty of fun information to sift through on Shepherd’s squad and other important characters in the game after the conclusion. And there is an epilogue of sorts with Liara and Shepherd having a heart-to-heart conversation of their strengths and weaknesses and the lack of clarity relating to what the future has in store for every living being. The shadow broker's ship remains undetected when flying in a evergoing electrical storm. 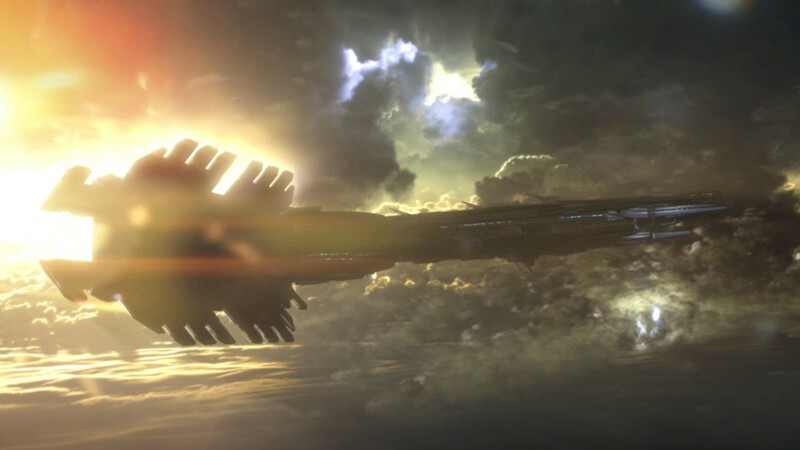 Lair of the Shadow Broker was a lengthy addition to Mass Effect 2 with a conclusion whose effects should be felt throughout the remainder of the series. The DLC is well worth the price and should be required playing for anyone with a copy of Mass Effect 2. I am stoked for Mass Effect 3! Playing the demo reminded me that I don’t have to wait much longer for it. Playing the demo also reminded me that I still had two pieces of Mass Effect 2 DLC I needed to play. I grooved on Lair of the Shadow Broker a few nights ago and will write a review of it soon. It’s solid though; of the three “main” pieces of DLC, I’ve enjoyed it the most and find it the best deal, and that’ll probably be the case after playing the final piece – Arrival, which I’ve read mixed reviews of. I made the decision early last week to discontinue playing Phantasy Star, not because I completed it but because I figured I’d gotten what I wanted out of it. I played enough to get about halfway through it and thought the time I’d have to dedicate to it (another ten hours?) wasn’t worth it. I then changed my mind later in the week. It’s light enough that I can listen to a podcast and zone out before bed, plus I’d really like to complete it after reading it’s Wikipedia page and seeing that it’s garnered much praise over the years. And of course, I’ve continued playing Skyrim, last week focusing more on the main quest.